Review a sample of the book here. Greetings from Amsterdam! TruTester was received 2 days ago. Wow, interesting book! After reading your ebook, I realized that I should have ordered the Bail Out Special Combo package that includes the original trutester. 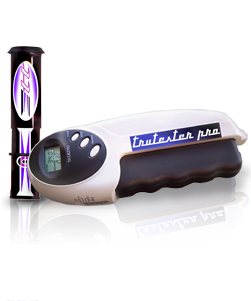 I think the original trutester would come in handy. i love your book and i was wondering if i could order a hard copy of this, as i like to highlight and underline and go back over the material - hope to hear from you soon. thanks for writing this book, i love the way you write. Got your book -- I'm overwhelmed -- how awesome -- words are inadequate. 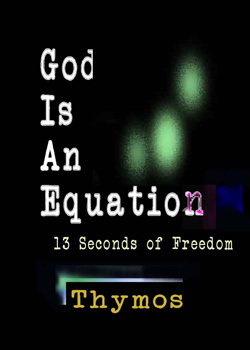 I'm still working through your 'God is an Equation' - it is an epic of 'War and Peace' proportions! I am loving the e-book you kindly sent to me yesterday...I have given your site to another EFT practitioner I know over here..I think it will be just up his street. I like your style of writing..and I relate very much to what I am reading..its refreshing to read something written in this style, and I find myself feeling excited at the real prospect of changing my life for the better! I have that guy Magnus from the UK to thank for posting your link..and what a good deed he has done. Thanks for the copy your e-book, which I have now finished reading and I must say I really enjoyed it.... very deep, spiritual and direct, definitely you have a very good style of writing and I congratulate you on how well written it is. It certainly would have make me want to buy a trutester if I didn't already own one... who wouldn't want one after reading that?? ?